what did you expect to happen to that thing? 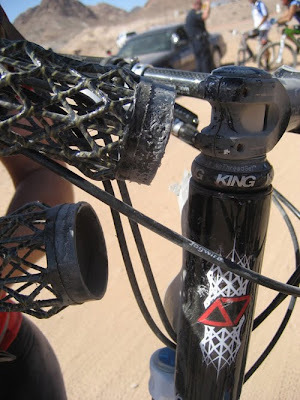 That was During interbike demo back in 2008. They had a specific batch with an epoxy failure. That issue has been resolved and improved upon... I have been racing the arantix for over two year with more than 5k miles with not a single issue. Love that high-tech chicken wire!